Karachi has slipped in the rankings of the world’s most livable cities and is now at 137th place on the list of 140 cities. According to The Economist’s Intelligence Unit, Karachi’s ranking was based on its stability, culture and environment, healthcare facilities, education facilities and infrastructure. Karachi has been on the list of least livable cities for years. In 2017, it was at 134th place. The list of least livable cities comprises Dakar in Senegal, Algiers in Algeria, Douala in Cameroon, Tripoli in Libya, Harare in Zimbabwe, Port Moresby in Papua New Guinea, Karachi, Lagos in Nigeria, Dhaka in Bangladesh and Damascus in Syria. 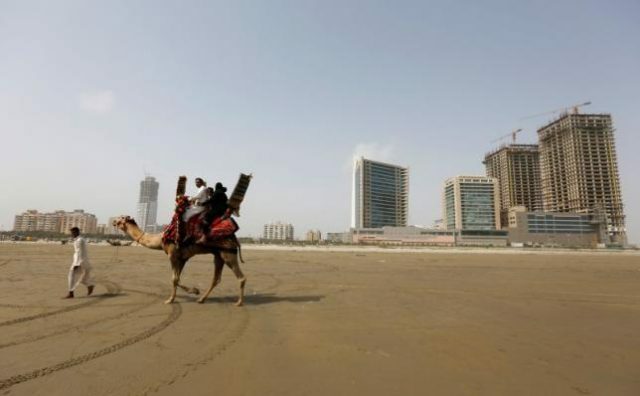 Karachi’s culture and environment ranking was the lowest of the 10 cities at 38.7. However, its education rating was the highest at 66.7. Its infrastructure was also the highest with a rating of 51.8. The main problem in the city seems to be stability – Karachi’s ranking was 20, which was the lowest on the list. Stability is ranked by prevalence of crime, threats of military conflict and threats of terrorism or unrest. Culture encompasses temperature, social or religious restrictions, censorship, sports, food and drink and consumer goods and services available. Vienna in Austria has been ranked the world’s most livable city, with an overall rating of 99.1. Karachi, on the other hand, had a 40.9 rating. In the top 10 countries, education and healthcare was rated 100 and the stability ratings were all above 95. The livability index assesses the best and worst living conditions and “quantifies the challenges in a city”. According to The Economist, a rating of 50 or less means “most aspects of living are severely restricted”.